You have a burning, painful sensation radiating down the hip or leg, probably on one side. Does your low back hurt? Maybe, but not always. And in addition to or instead of pain, you might have numbness and tingling. The pain can range from mild to severe. Doctors suggest pain medication or surgery. You would like something less invasive with no side-effects. Acupuncture, a natural system of treatment that coaxes the body to heal itself, may be the solution for you. I have treated hundreds of patients with sciatica, usually very successfully. What causes it? How can acupuncture help relieve it? 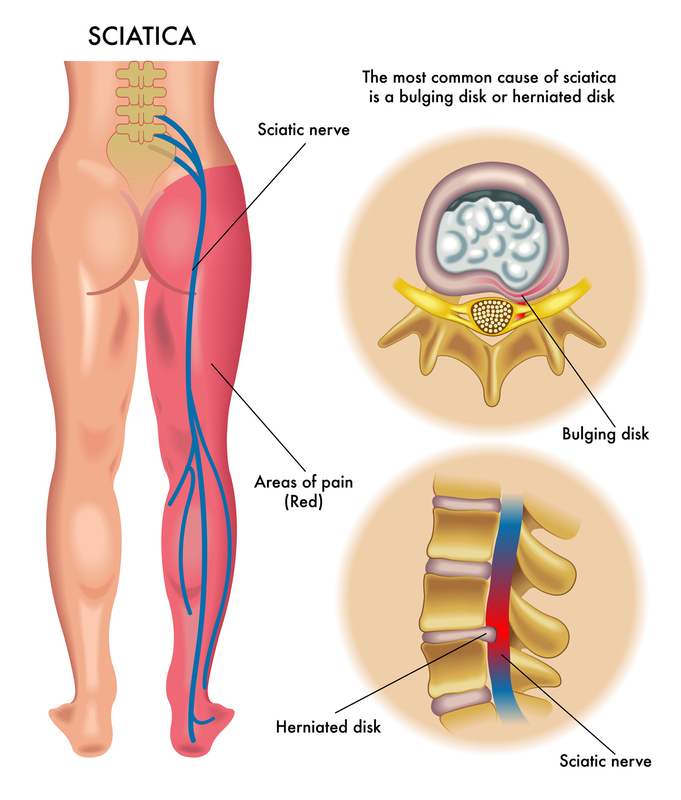 ► Sciatica results from pressure on the sciatic nerve, causing irritation and inflammation. From a herniation of a disc pressing on the nerve. From tightness of the piriformis, a deep gluteal muscle the sciatic nerve passes under or through. The tightness puts pressure on the sciatic nerve. Two other less common causes are spinal stenosis and spondylolisthesis. More difficult to treat, but pain can often be managed effectively. It can often relieve pressure on the nerve. Acupuncture relaxes the piriformis. It may relieve pressure of a herniated disc as well, as results are often long-lasting or permanent, but further studies need to be done using before and after diagnostic imaging. Every patient is different. It could take from 2 to 10 treatments, depending on cause, severity, and duration. I always suggest a trial of 4. Based on progress, it is then easier to predict how many more might be needed, if any. If the pain is gone before the trial is finished, all the better. If for some reason no results have been obtained in 4 visits, I suggest discontinuing. But most cases respond quite positively. For more details on treating sciatic pain with acupuncture, see my article “Sciatica and Acupuncture”. And please look at these testimonials of sciatica patients I have treated.